I think that most of you know by now that I am pretty serious about my coffee. I have one cup a day and have very high expectations of it. The one night we spent in Germany came with the most glorious breakfast imaginable. We ate with relish and drank superb coffee. By the time we reached Italy (the very next day ☺) we were aware that we now needed to fend for ourselves. After a failed attempt to procure a cup of coffee on our first morning, we asked our hostess at La Pianca how to ask for a cup of coffee with cream in it. She was a little puzzled by this and then instructed us to request a café macchiato. Bueno. Now – I will stop you right here to tell you that we have already delivered the speech to the kids about “flexing our flexibility muscles”. Things will be different here than they are at home and it is important to roll with it and savour the differences that we will encounter on this journey. OK – but coffee is different!!!!!! So we are now in the car heading to Tuscany and of course Lucy now needs to pee, so we pull into a gas station to see if they have a bathroom. They do not. But what they do have is a $5000 espresso machine and china cups at a wee espresso bar all housed in about 150 square feet of space! So I figure out how I am going to ask for my 2 macchiatos and some of their amazing looking pastries and deliver my request. The total for four pastries and two macchiatos is under 4 Euros. Incredible. Then he hands me my macchiatos and I can barely make it out of there without grinning. 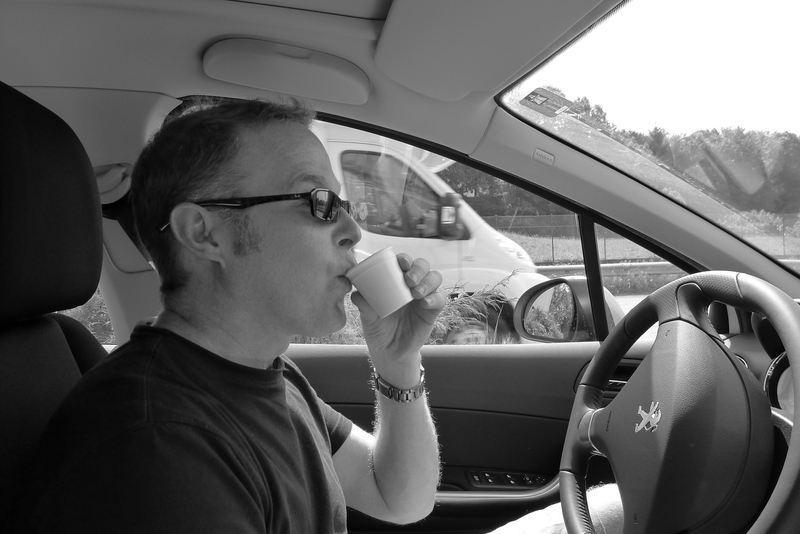 The coffees are housed in the tiniest cups imaginable – wee little 2 ounce take away cups. Something that you might squirt ketchup into at home to accompany your fries. So this is an Italian coffee with cream. Delicious! I laughed out loud at this one. How well I recall the challenge of finding anything like the coffee we have here. But after you get used to the small cups, life is good. Sonia and I are both reading and enjoying your posts. dissembark and have at it, and the thing was to a North American it was a bit of a surprise the first time, but to any one from there no one payed any attention to it at all.